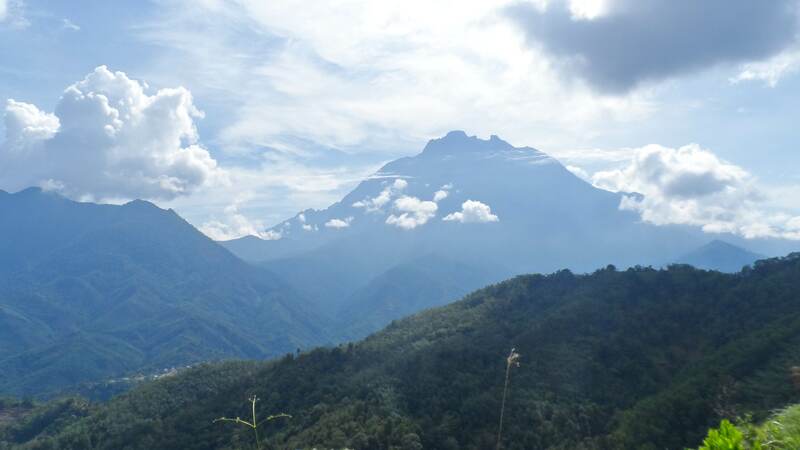 Visiting Northern Borneo was not originally part of my backpacking route last March- April 2014 . After spending more than two weeks in India and Nepal , my route supposedly was to head back to Kuala Lumpur , then Manila ( which was the cheapest option by the way if you think of travelling to central Asia. ) But apparently at the time of booking my tickets online, my lust for wander brought me to find super cheap promo tickets from Kuala Lumpur , to other key cities in Malaysia . 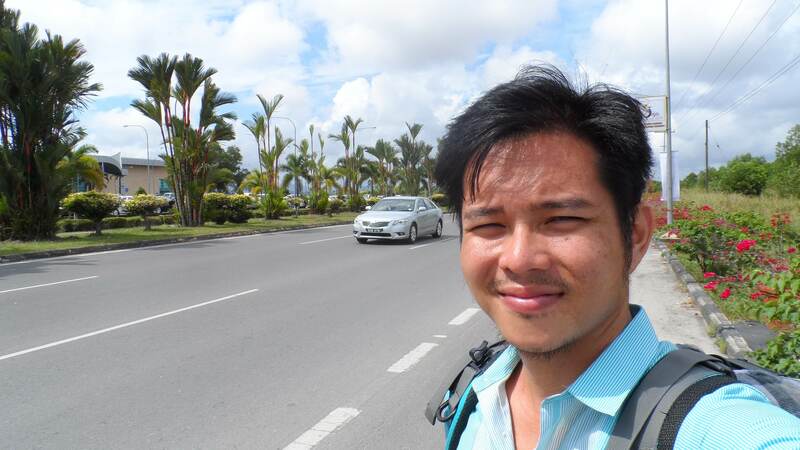 Still having a few days left , I then decided to take the long way back to the Philippines, and see more of the south by passing through Miri ( Sarawak State in Malaysia ), the Kingdom of Brunei , and Kota-Kinabalu (State of Sabah). My promo tickets were quite cheap with “Airasia” . Got a morning flight from Kuala Lumpur to Miri ( Sarawak State ) at 731 pesos (around 15 usd All in ), And Kota Kinabalu ( State of Sabah ) to Manila at 947 pesos ( around 22 usd All in ). Bookings were made around 3 months in advance. Apparently, low cost intercity flights within Malaysia are more flexi and affordable ( as compared to local Philippine flights ). More so when they are on sale, like what I got! =) In between the two Malaysian States , I hopped on local buses , which were a bit consuming , but still worthy to do! Easy-practical route ? not quite. Up for another travel adventure ? Totally ! 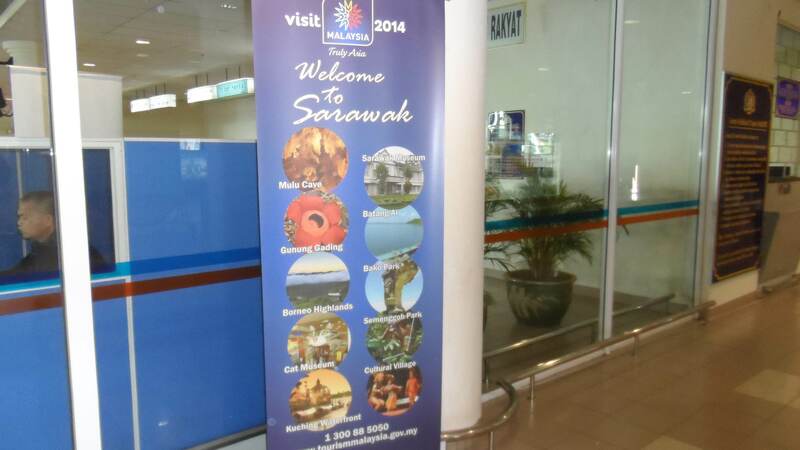 Travelling within Malaysia is quite interesting. 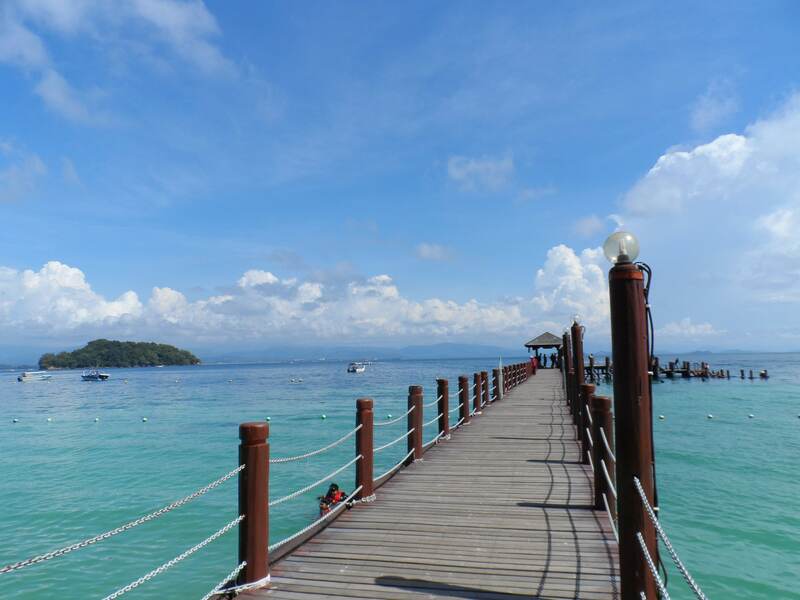 Malaysia is composed of several states , and it is a policy of the country for foreign travellers to have their passport stamped approved when crossing between certain states, which is actually ideal to monitor foreign individuals roaming around the Malaysian peninsula. 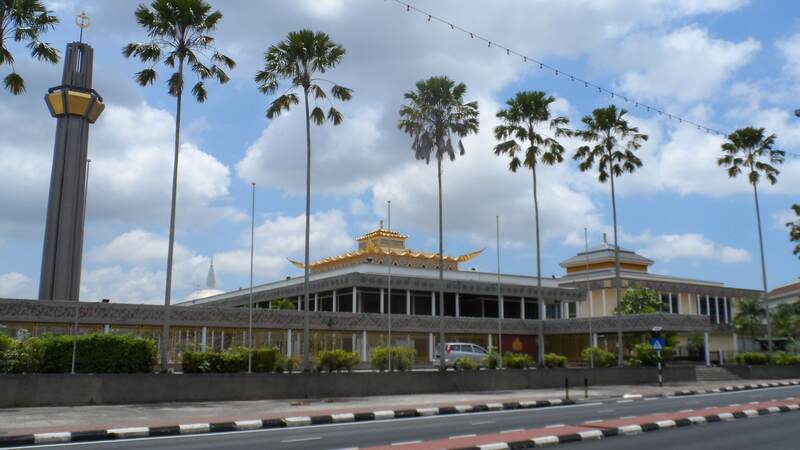 As such , travelling within Malaysia alone, would gain you quite a number of stamps , plus the stamps you get when crossing boundaries with Brunei. The lands of Sarawak and Brunei are interlocked , so If you are on your way to Sabah from Miri/Sarawak , public buses would most likely pass through the capital of Brunei , then through Tendungan/Limbang towns of Sarawak , then enter Brunei once again through Puni/Labu eastmost provinces, then enter Sarawak once again through Lawas, before reaching the State of Sabah. Just to give a simpler picture, here is how my 6 days travel from Miri to Brunei and to Kota Kinabalu by LAND/BUS went on..
Miri to Bandar Seri Bengawan (BSB) — PHLS Express runs a direct bus between BSB and Miri for 45 MYR/18 Brunei Dollars . The bus leaves Miri at 7AM and 1PM and takes about 4 hours to BSB . 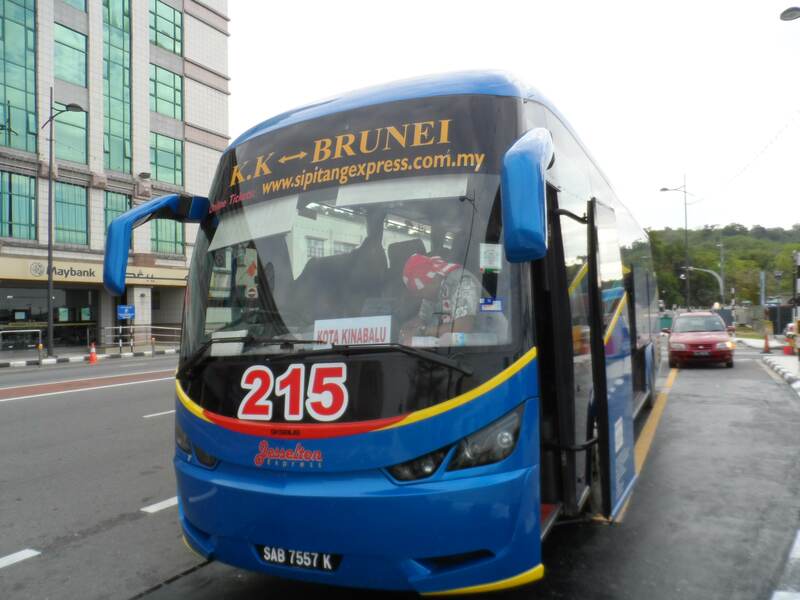 Bus leaves Miri at Pujut Intercity Terminal and stops at the Riverside Promenade in downtown BSB. 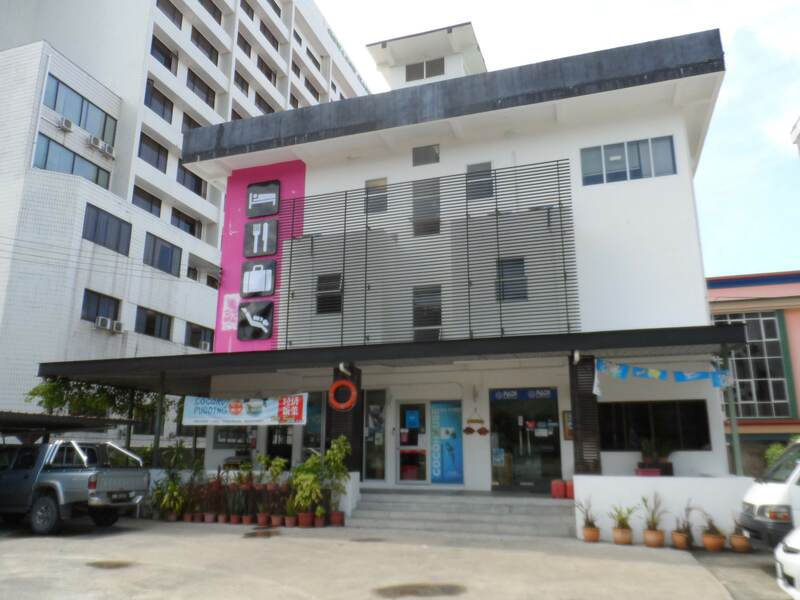 Bandar Seri Bengawan to Kota Kinabalu — Jesselton Express offers direct bus from Brunei to Kota Kinabalu at B$ 45 / 114 MYR, which runs only once a day at 7 am . 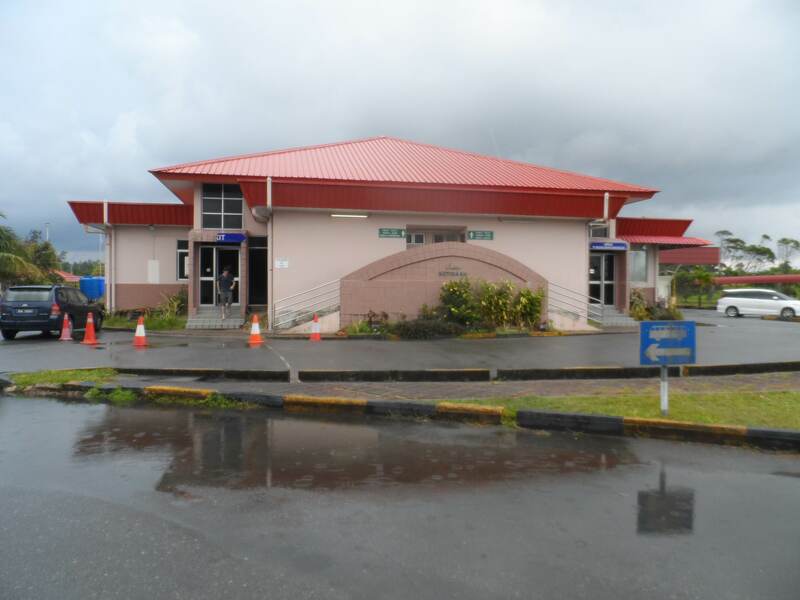 A bit pricey, but it is a direct ride so you wont have to change buses at the border. The total travel time is about 8 and 1/2 hours. 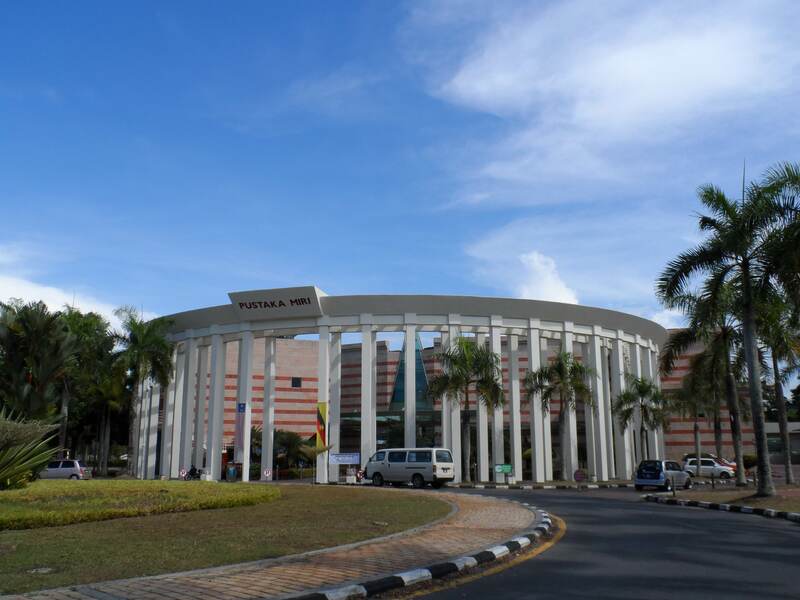 Jesselton Express leaves BSB at the riverside promenade fronting Maybank Building, and stops at Kota Kinabalu City Center bus terminal. 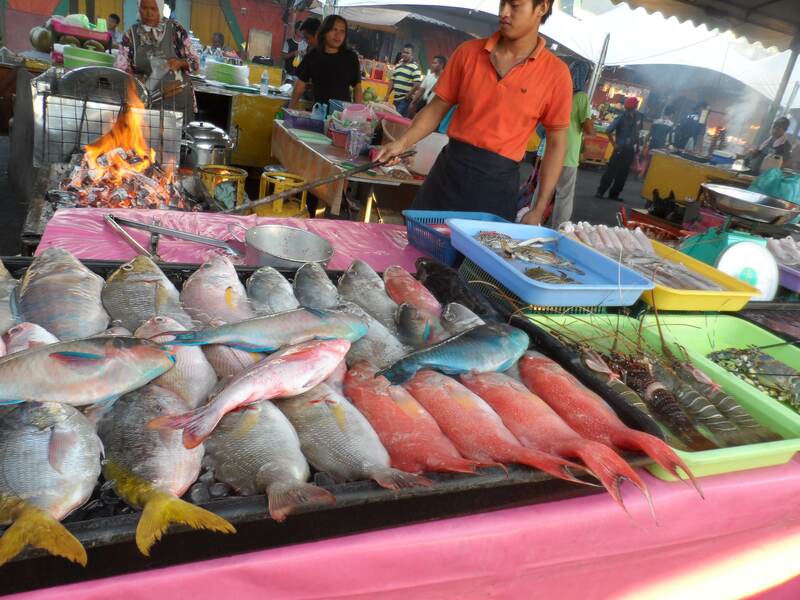 Daily Expense Tip : Food is relatively inexpensive In Miri and Kota Kinabalu . 10 USD would be more than enough for a day’s allowance, as there are a lot of hawkers and street side cafeterias for budget conscious travelers. 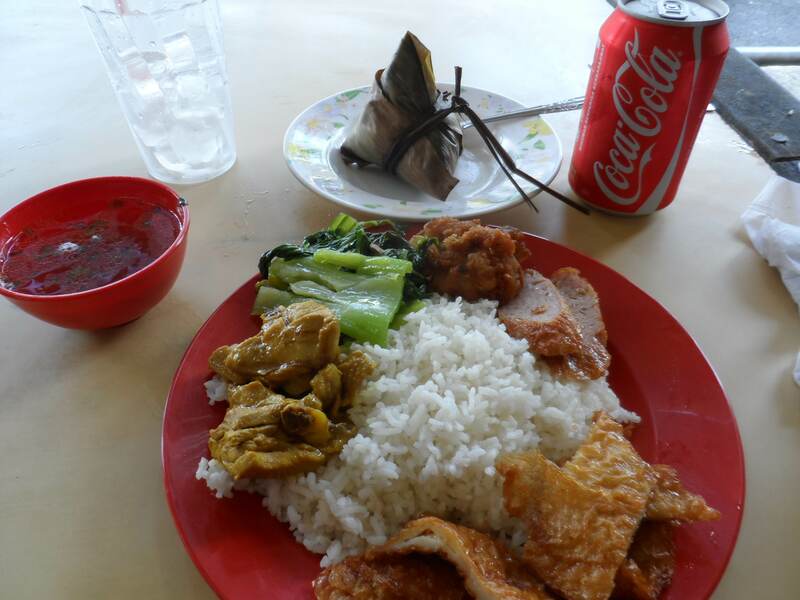 with price ranging at 2 USD for a full meal. 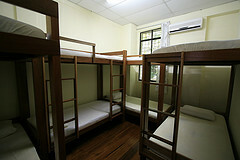 Dormitories are much available for 5-8 USD per night, with breakfast. 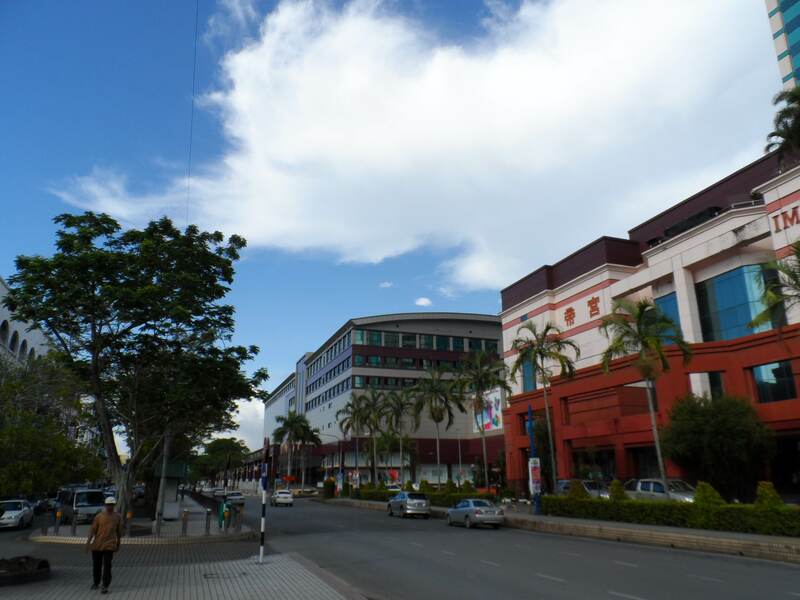 Miri, Sarawak Malaysia Miri is a relatively small , but wealthy city of the northern part of Sarawak State. 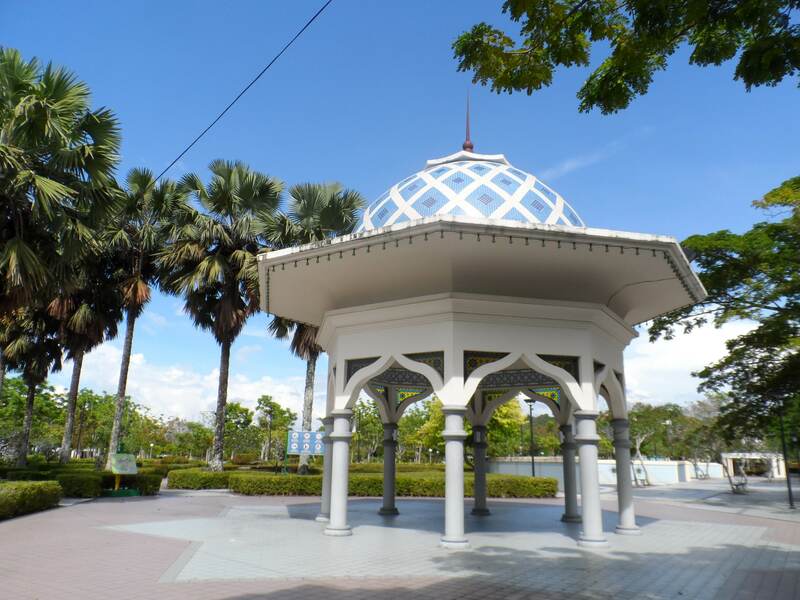 ( The more famous city in Sarawak is Kuching at the south ) . 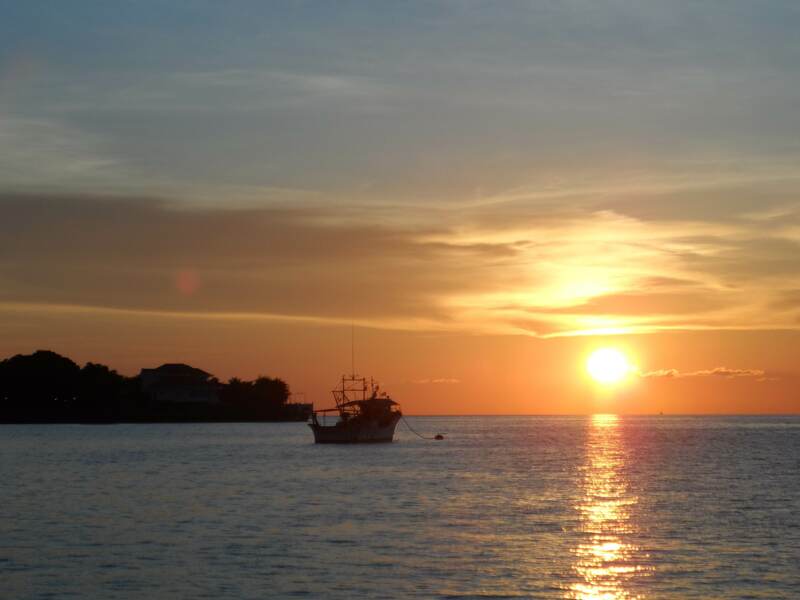 Miri may not talked about by usual Pinoy tourists like us , but this city is quite famous to westerners, as well as Australians , as the gateway to the nature reserved mountains of inner Borneo , which is valued for its biodiversity and protected tropical wildlife sanctuary. 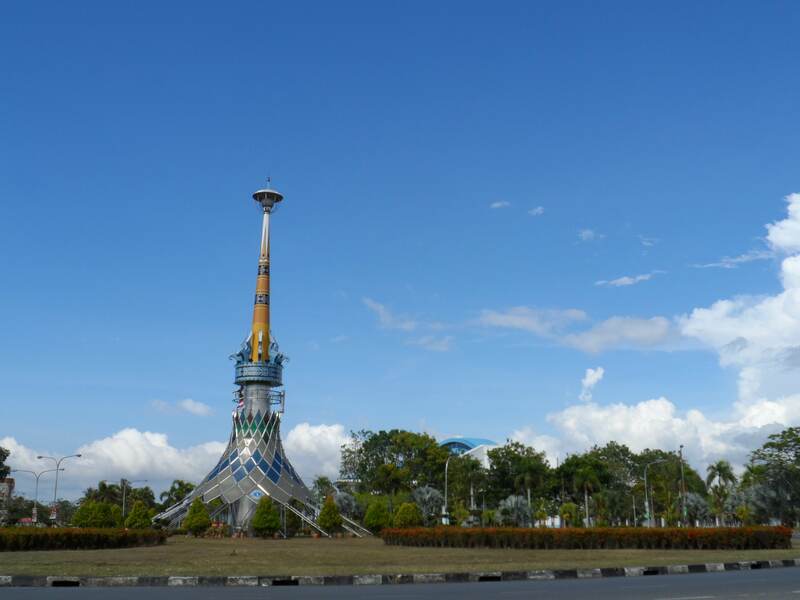 Aside from that, Miri is also known as the oil producing province of southern Malaysia. 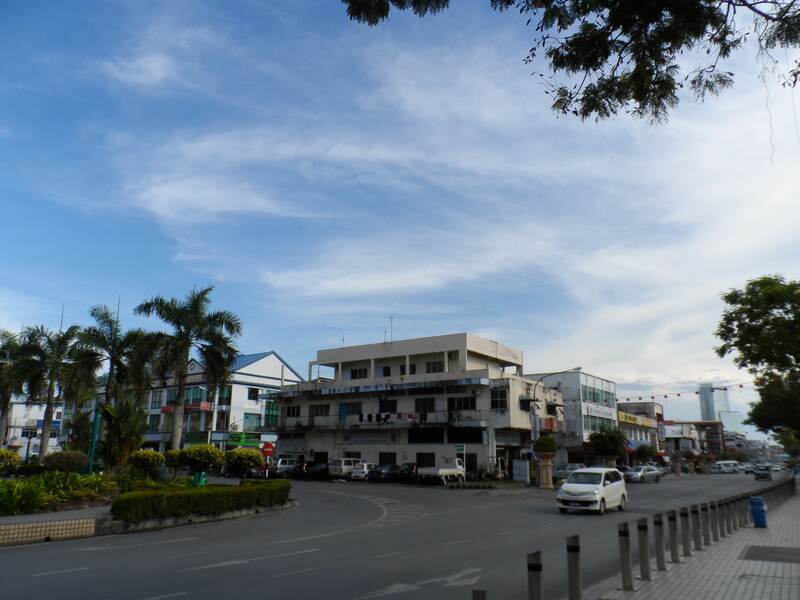 Miri was just a transit city for me because I only stayed for one night. 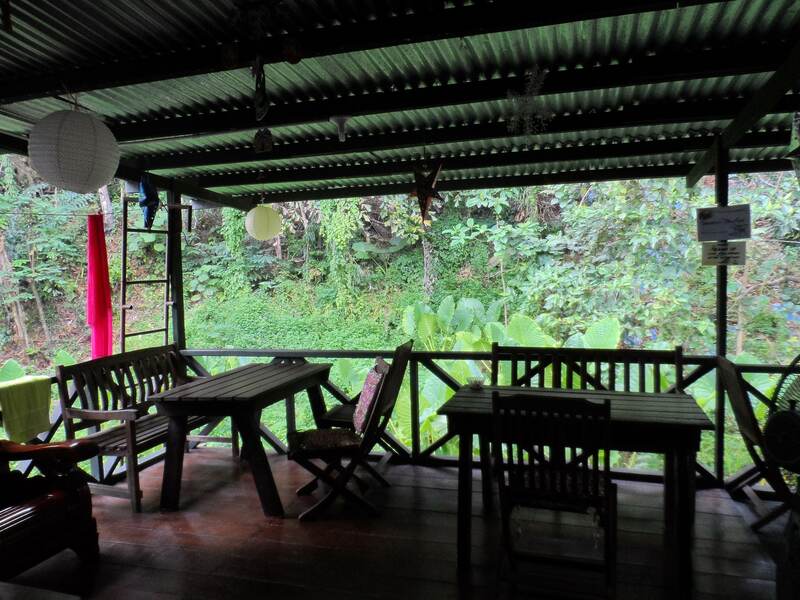 Aside from the nature parks and reserve (which I did not get to visit) , theres nothing much to do within the city of Miri . 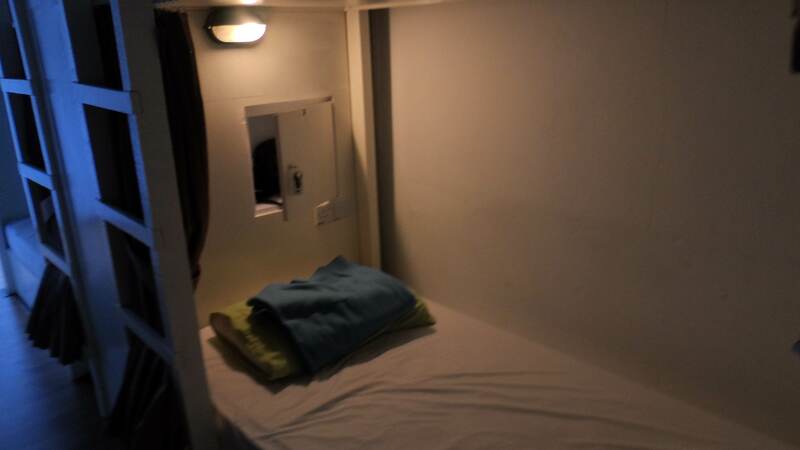 But I did have a good rest though, the dorm and the people were nice. Coco Guesthouse where I stayed. 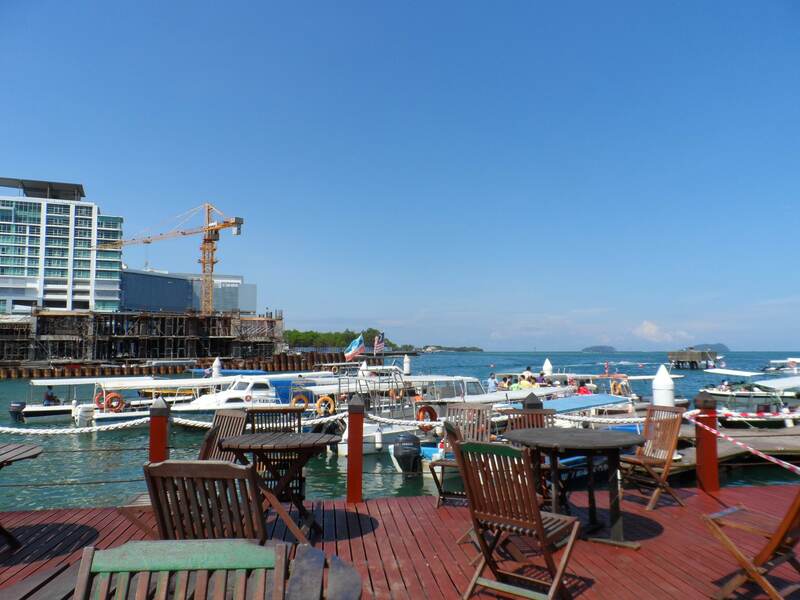 Just tell the taxi driver to bring you to this place beside the Grand Hotel. 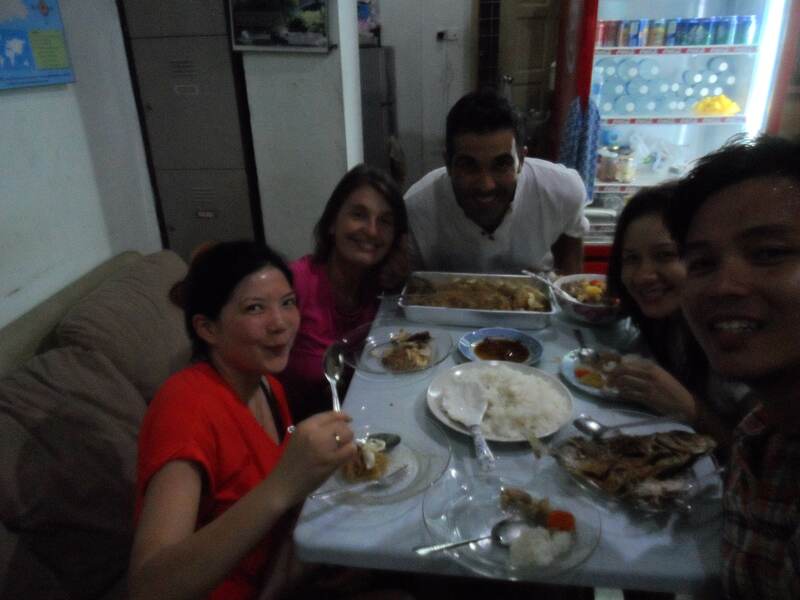 Auntie Rita , whom i met at the guesthouse . 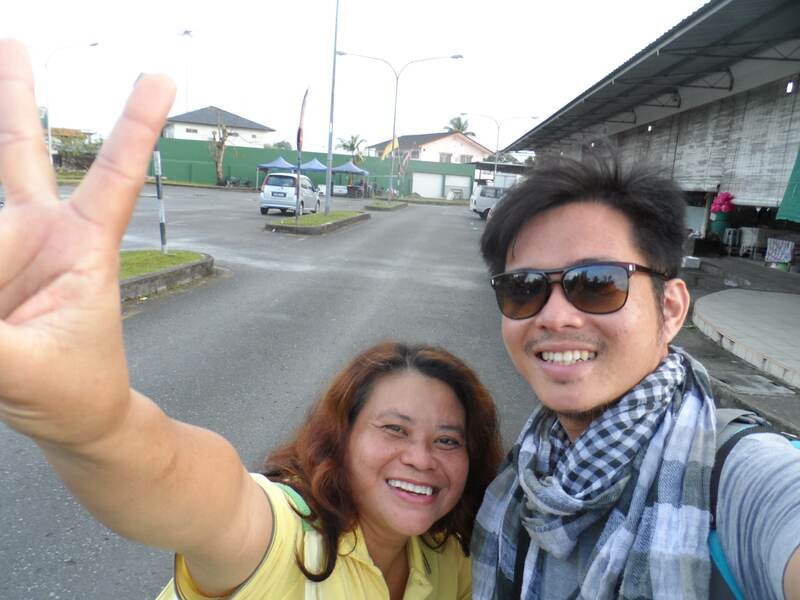 She helped me find a local bus to Pujut inter city terminal ,where I got my bus to Brunei . 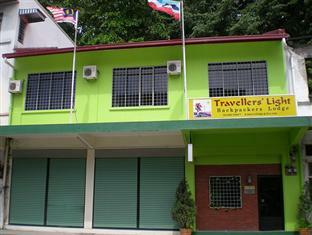 Bandar Seri Bengawan does not have a formal Bus Station . 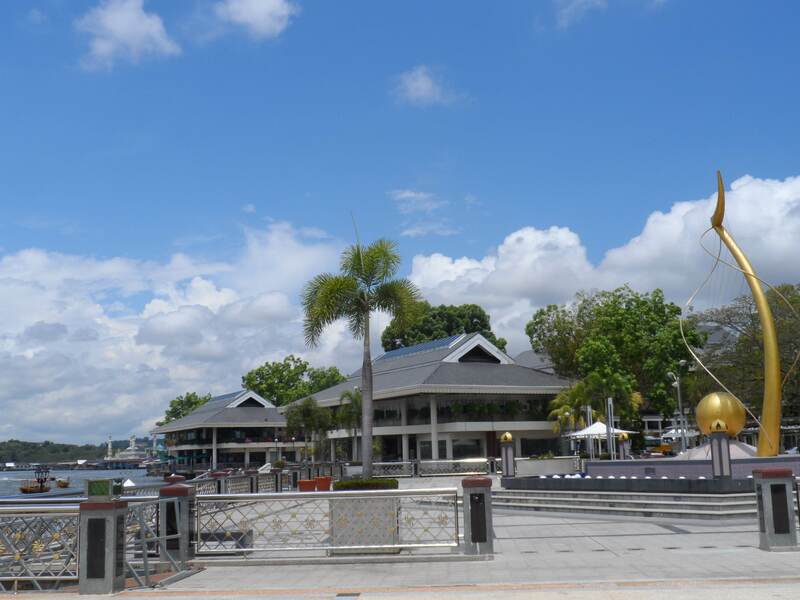 Inter city Bus stops at this riverside promenade , opposite MayBank Building. among the nice government offices you’ll pass by when entering BSB city center. 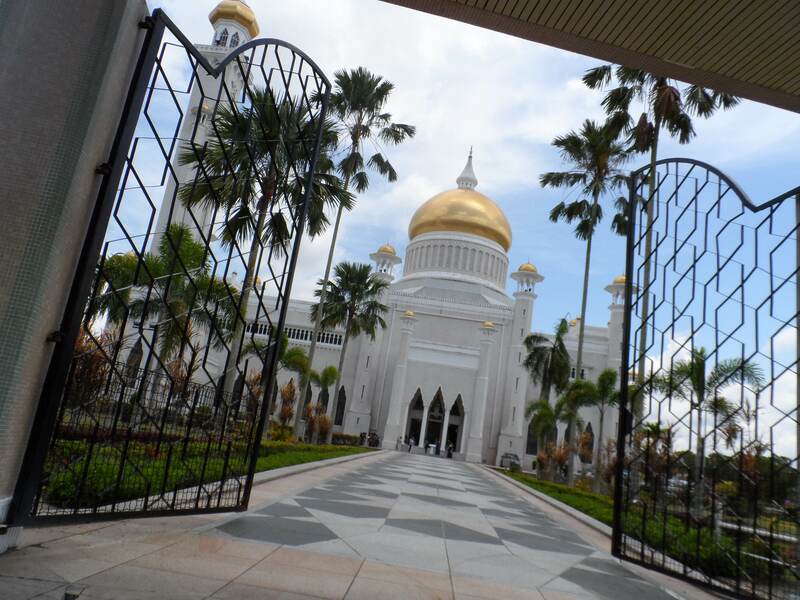 Sultan’s Mosque at BSB , among the first sites you’ll see upon the arrival of the bus at the city center. 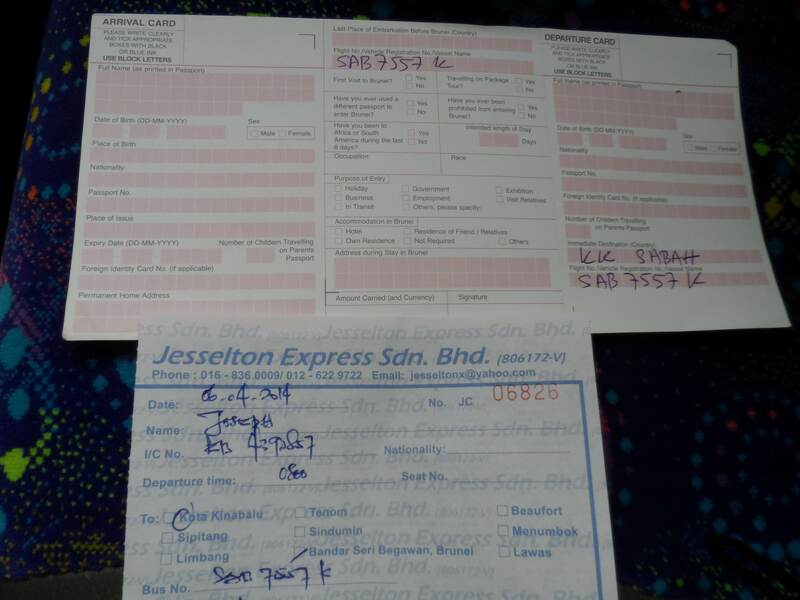 Direct Bus Ticket Brunei to Kota Kinabalu at B$ 45 / 114 MYR by Jesselton Express , which runs only once a day at 7 am . A bit pricey, but it is a direct ride so you wont have to change buses at the border. 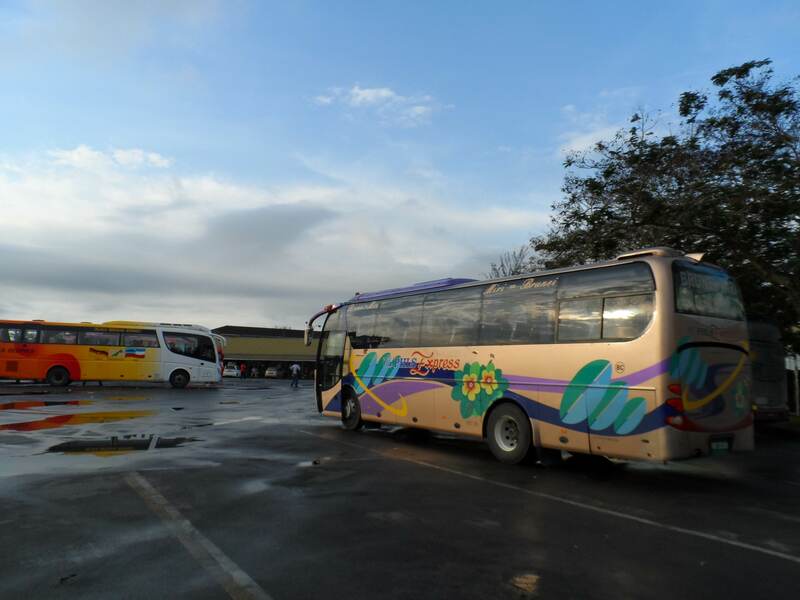 Jesselton Bus, The only direct bus from BSB Brunei to Kota Kinabalu , which travels daily at 7 am . It is an 8 and 1/2 hours ride.